"Polite, On Time, Efficient And Very Tidy"
"Quick Service, Very Efficient Communication"
"Polite, Kept Me Informed, Helpful And Concientious"
"Quick Chat On The Phone, Understood Exactly What Was Needed, Did The Job The Next Day. Quick, Clean And Excellent Work!" "Arrived On Time, Good Communication, Problem Quickly Rectified And Job Completed." 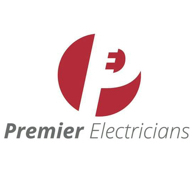 Need a Electrician in Hayes?